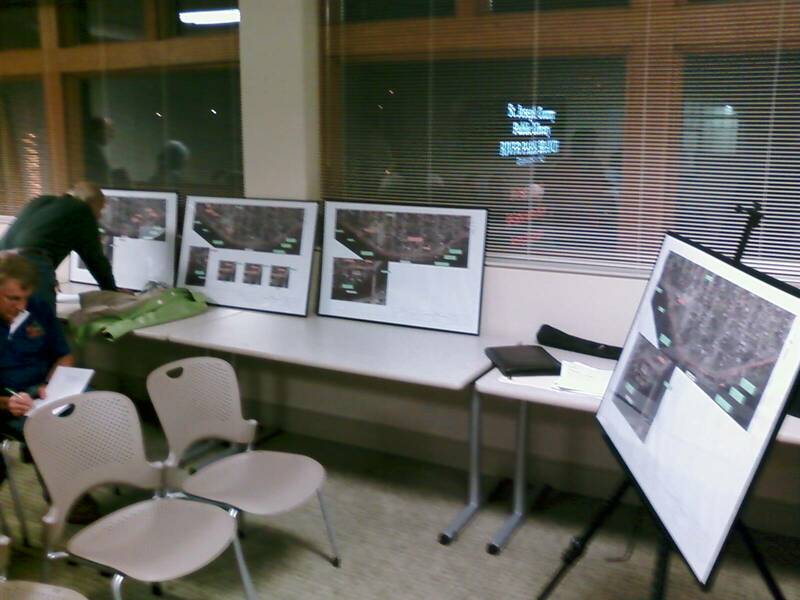 The proposed multi-use path that will hug the north bank of the St. Joseph River between IUSB and Logan Street was discussed in detail at a planning meeting on October 27. Residents of the River Park neighborhood and trail enthusiasts met with city officials and the planning consultant to discuss four alternatives, three of which were new since the last planning meeting. 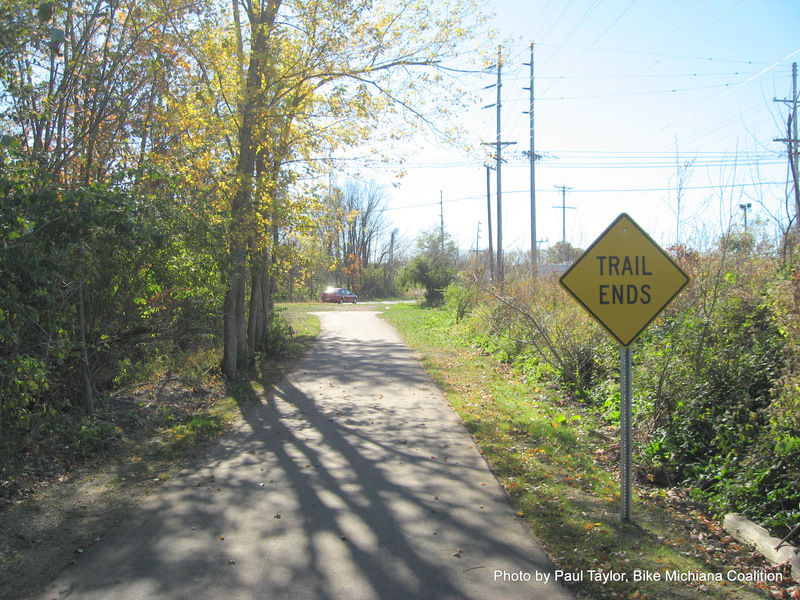 The Indiana-Michigan River Valley Trail, is an assemblage of separately built and managed trails. It will someday extend from Mishawaka, IN to Niles, MI and developers continue to make herky-jerky progress toward its completion. Some futurists envision the day when it will run from Elkhart, IN to Berrien Springs, MI, and even all the way to Lake Michigan. Notable progress has been made recently. Dead end? Yes, but progress is being made. A section in Niles has just opened which extends the trail southward from downtown Niles to the Fort/3rd Sts. intersection. A ribbon cutting will be held October 30th at 10:00 am at Niles’ River Front Park. The Elkhart County Historical Museum is proud to host prominent bicycle historian and author David Herlihy on November 7 at 1:00 p.m; admission will be $5. This event is sponsored by Goshen Public Library and Elkhart County Parks. 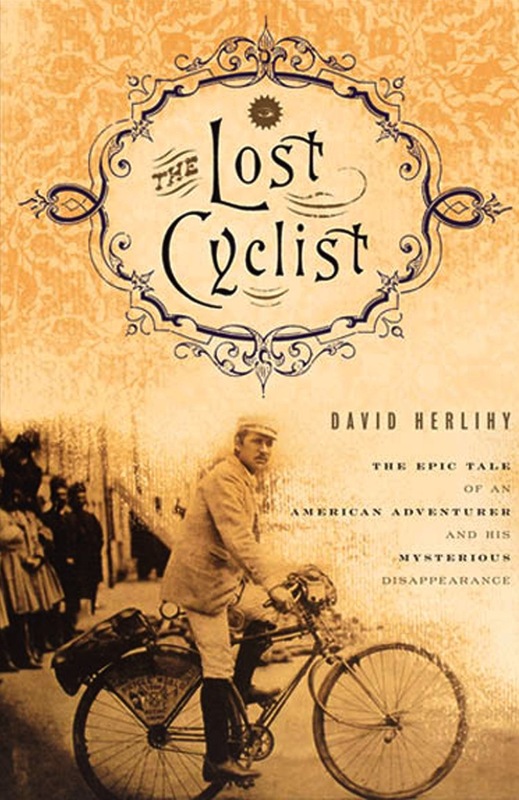 Herlihy’s recent title The Lost Cyclist has received reviews by the New York Times, Smithsonian Magazine and was recently named “book of the week” by the Independent (London, United Kingdom). Frank Lenz even stopped in Elkhart on his world tour! The Indiana Association of Cities and Towns (IACT) has awarded the 2010 Local Government Cooperation Award to the Cities of Mishawaka and South Bend, along with St. Joseph County, for their cooperation with the Louise Addicott and Georgina Joshi Foundation and the Bike Michiana Coalition in organizing the highly successful Bike the Bend event. Click HERE to see a press release from the City of South Bend. 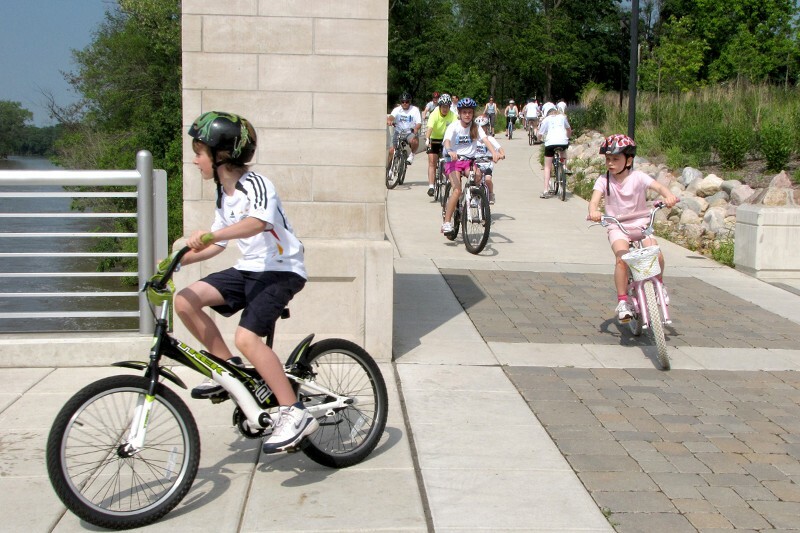 The first annual Bike the Bend was held on Sunday, May 23rd and attracted 1,800 cyclists of all ages and abilities. Because the ride went through both cities, in addition to unincorporated areas of St. Joseph County, a massive amount of governmental cooperation was necessary for planning and to ensure consistent traffic control and safe access to the roads. The award recognizes this effort and the tremendous popularity of the event. Planning for the 2011 Bike the Bend is already underway; it will be held on Sunday, May 15th. You won’t want to miss it!